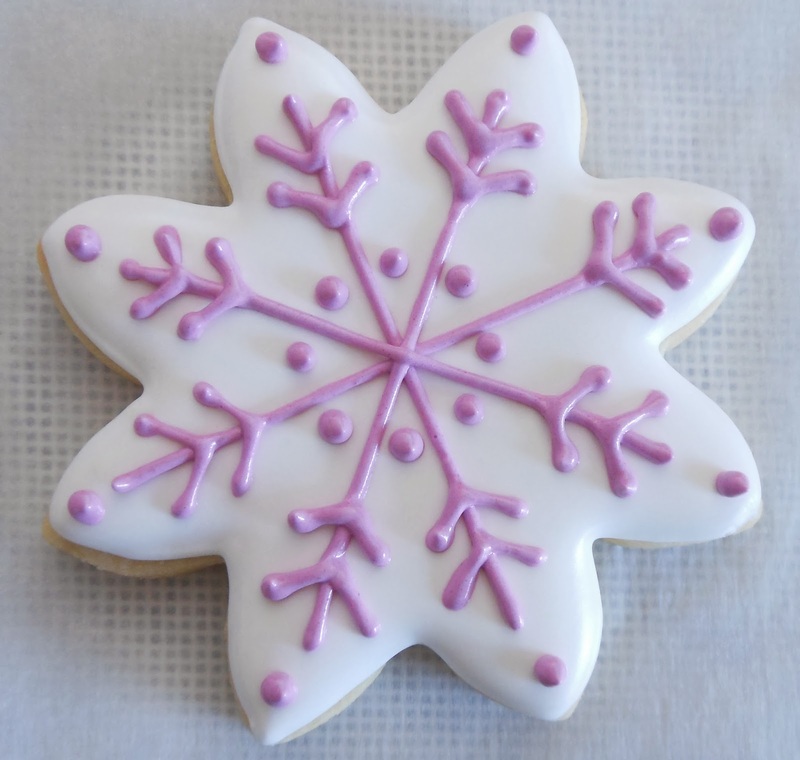 Polar Vortex … whoever heard of the term before this winter? It has now become part of the vernacular and even late night comedians use it in their stick. It’s a crazy phenomenon that usually hangs out closer to the North Pole providing bone-chilling temps to Russia and Canada, but this year dipped into Dixie with temps colder in Georgia than Alaska. We have had a normal winter in Northern Virginia but for the Midwest, Great Lakes Region and New England it has been a grueling winter, wearing out nerves and snowblowers. Just as one storm passed another was on its heels. Maybe it wasn’t such a goofy idea for The Weather Channel to name the storms so as to differentiate between them. Although, where did they come up with those names? ... Boreas, Cleon, Kronos, Quintus … sounds like Gladiators meet Star Trek. We’re currently up to Storm Seneca but hold on, winter may last long enough to see Storm Vulcan and Zephyr. Hang in there … Spring is just around the corner. Here is a complete list of winter storm names and their meanings. 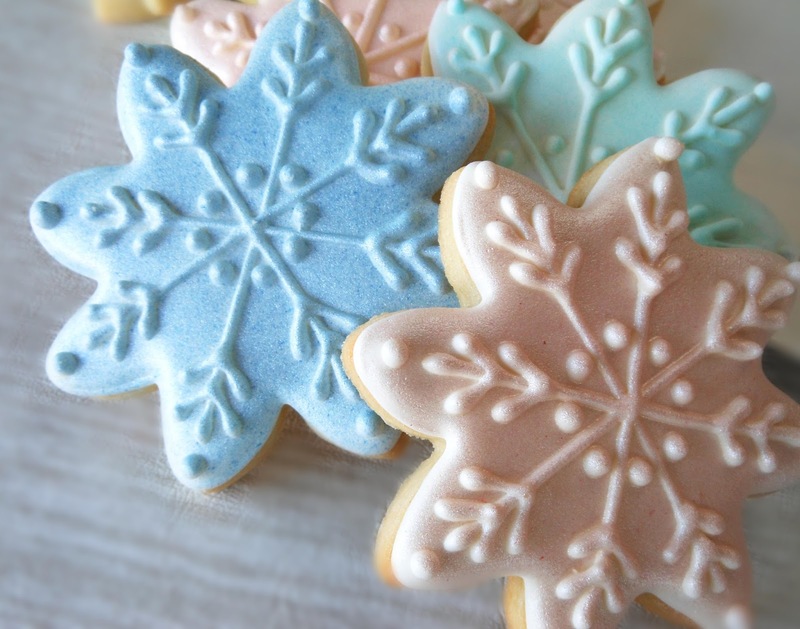 Snowflakes are my favorite cookies to decorate and I wait all year long until winter arrives to make these cookies. 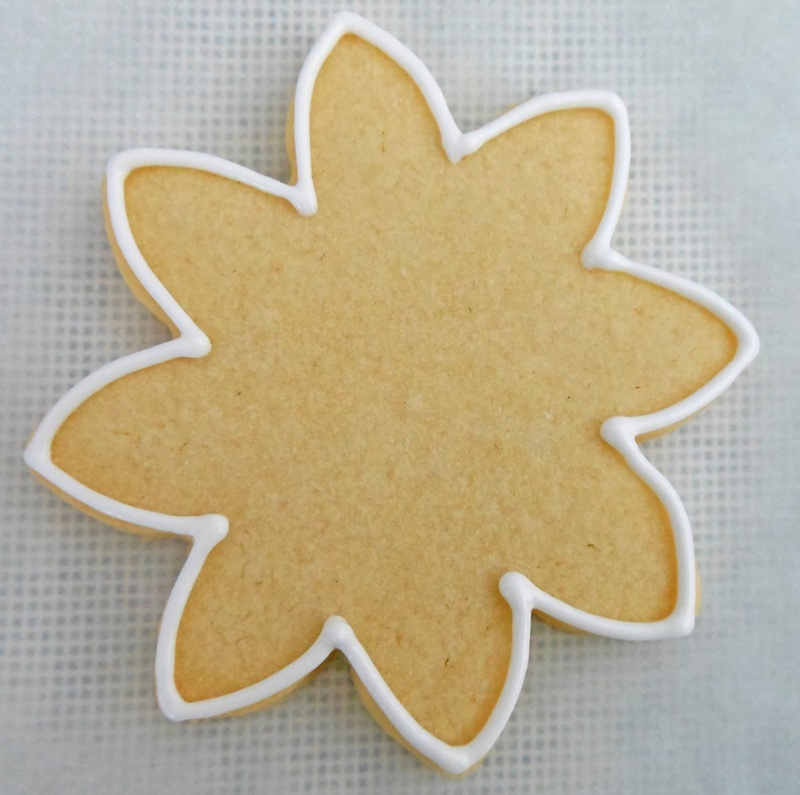 This design comes together quickly and is fun to decorate. 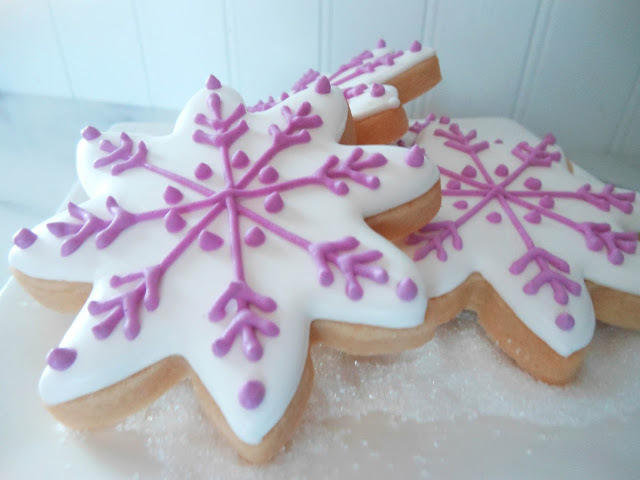 I cannot decide whether I prefer them with or without sanding sugar. Which do you like? 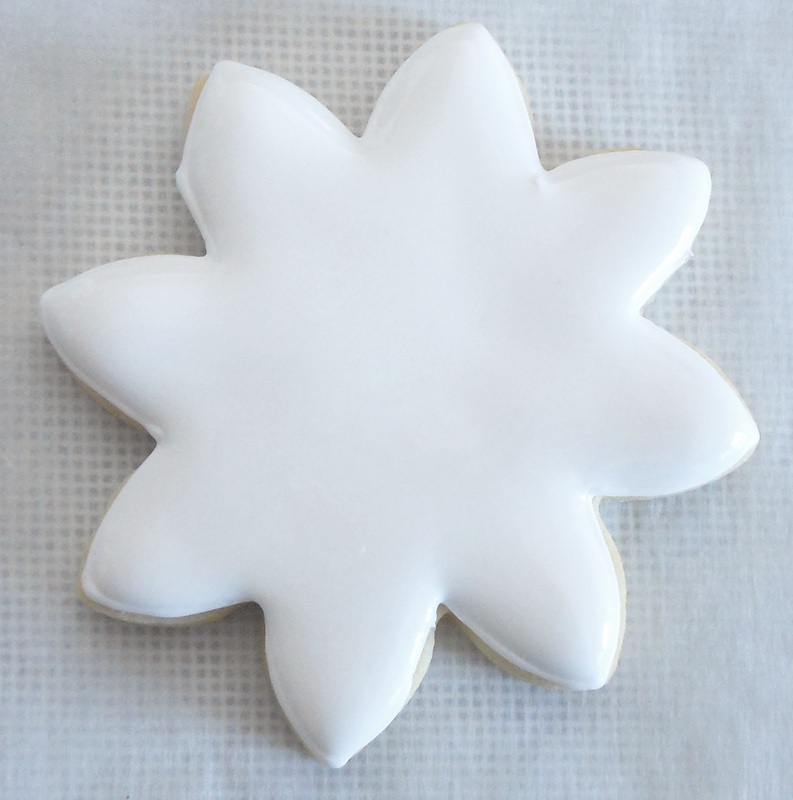 Outline cookie with # 2 tip in white icing. 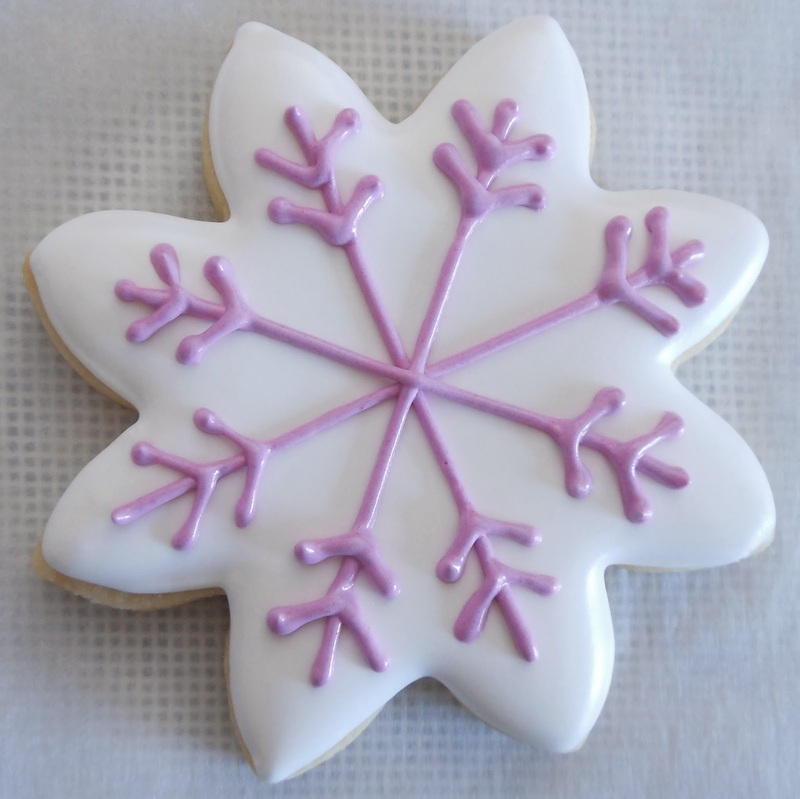 Flood cookie in white icing. Let sit 30 minutes. 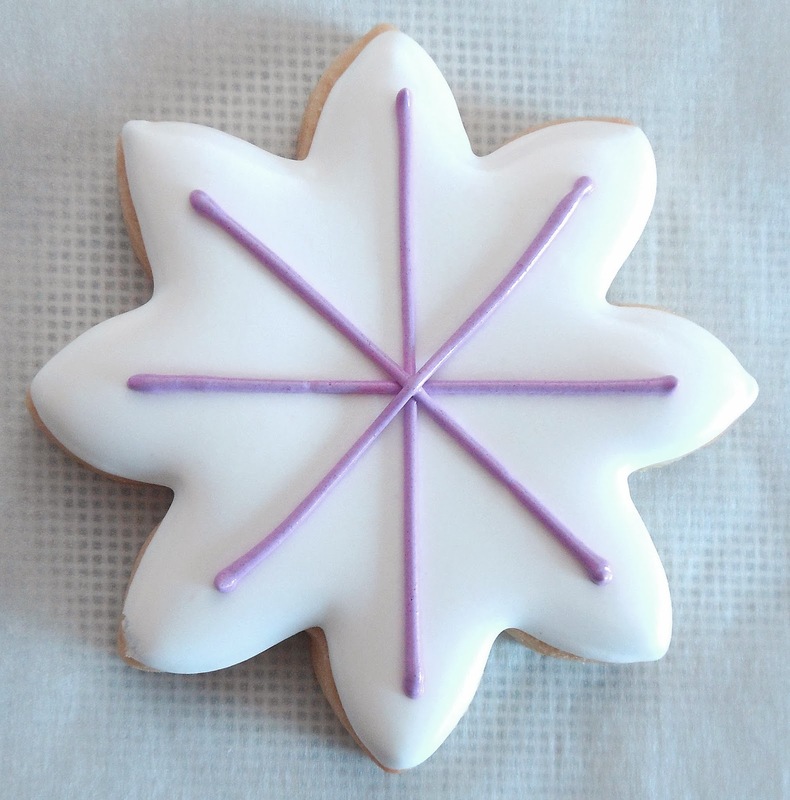 Pipe plus sign and X sign with #2 tip in purple icing. 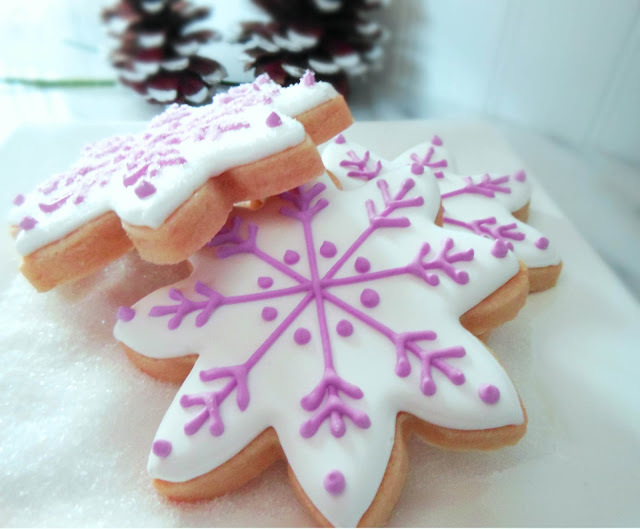 Pipe detail with #2 tip in purple icing. 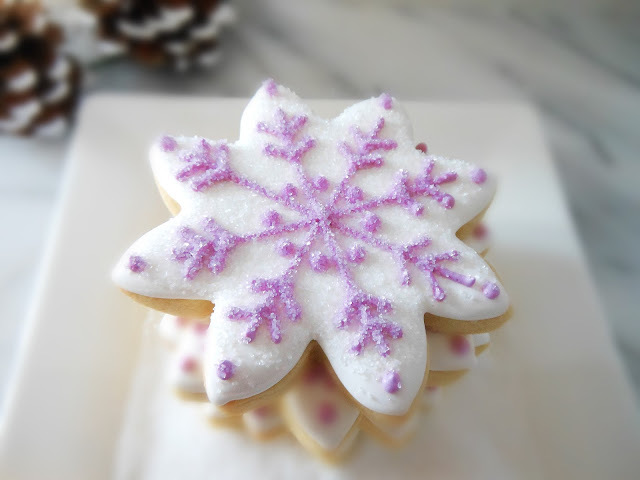 Pipe dots with #2 tip in purple icing. Zainab, Thank you! I'm glad you enjoyed the tutorial. Thanks for dropping in. Joy, Thank you! 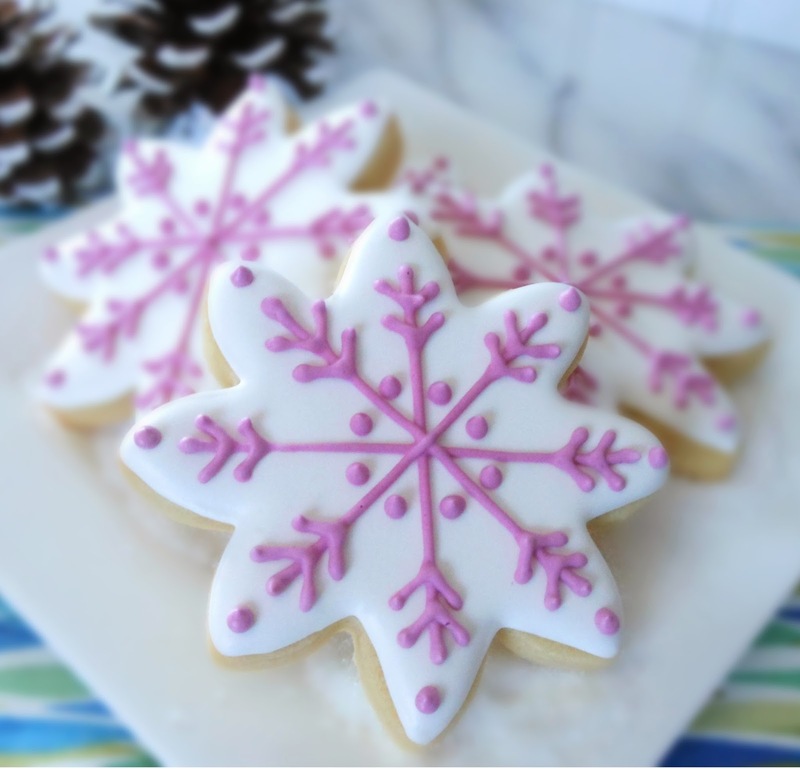 Adding turquoise to pink turns the icing purple. I'm glad you enjoyed the video. 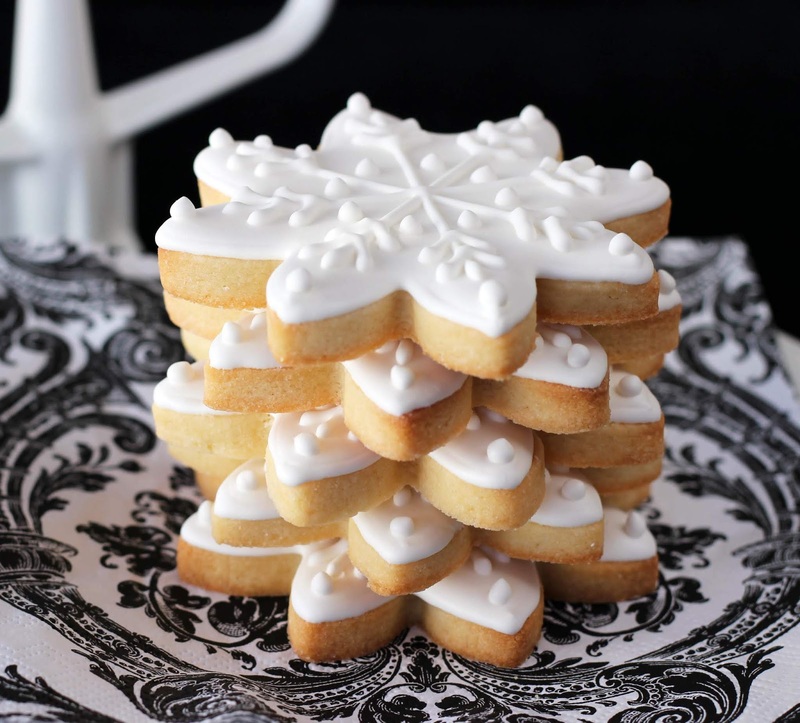 I appreciate the share on Twitter and thanks for hosting the Treasure Box Tuesday link parties. Paula, Thank you! Yes, most of us have spring fever by this time of year. Anne, Thank you! 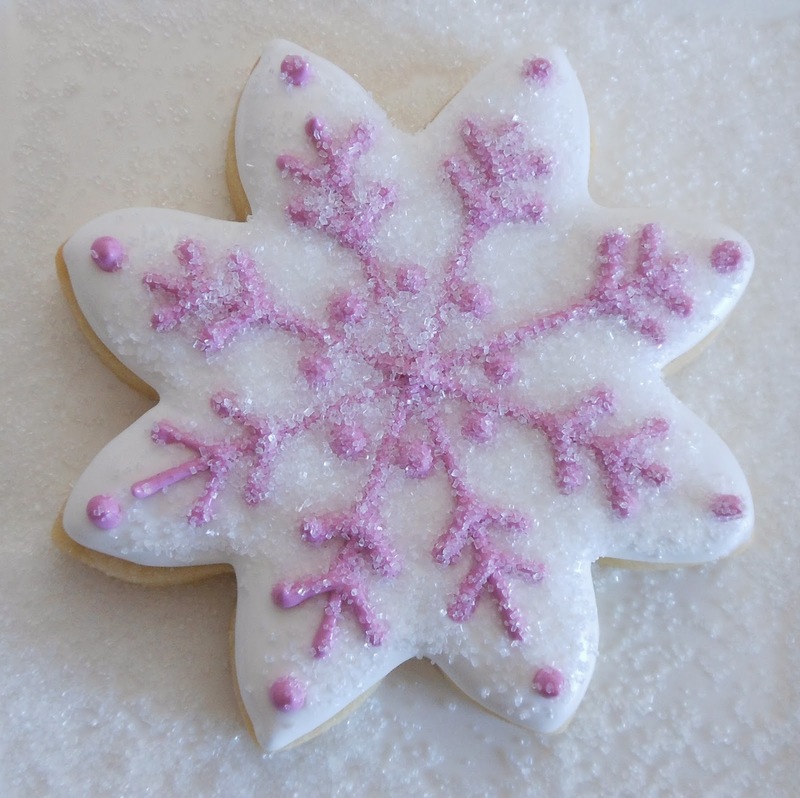 Yes, the sanding sugar gives the snowflakes a totally different look. The flurries today were so pretty and the perfect kind of snow ... no shoveling. Joan, I am in the vortex! 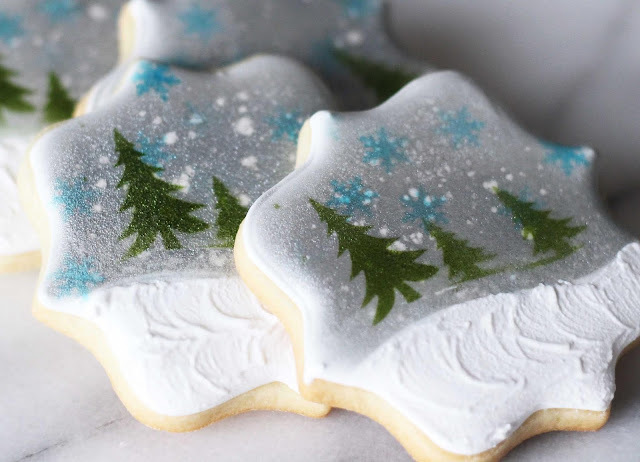 And it is awful....I'm cold all the time :) But your cookies warm me up... thanks for sharing at MM this week - pinning! Next week make something springy :) wishful thinking! Deb, Thank you for your kind words and thanks for hosting MM every week. I appreciate the pin and there will be flowers in your future! Thanks for sharing this on your #simplybebetsy gallery. 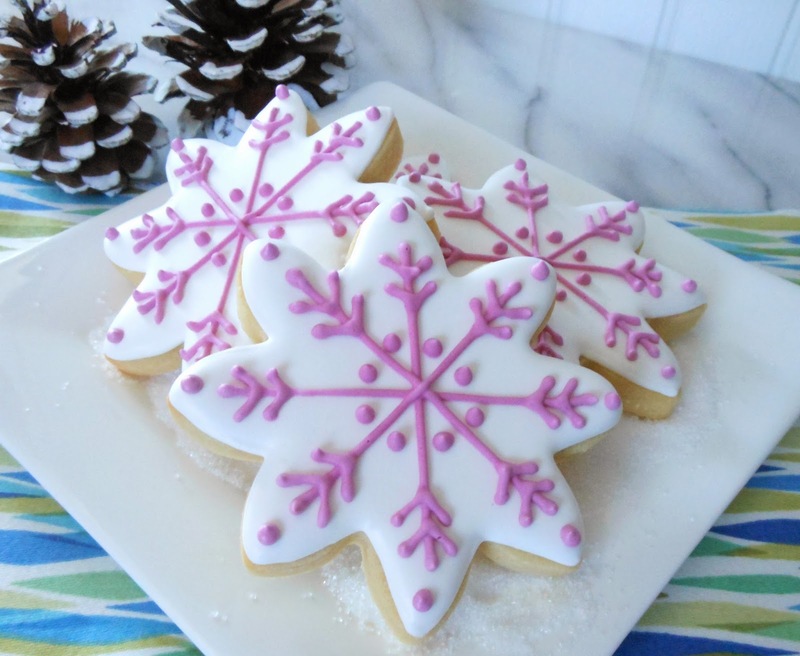 Sharon & Denise, Thank you for posting these cookies on Simply BeBetsy. I'm so glad you found the video helpful Sharon. I can't wait to see your decorated cookies on SBB. Madonna, Thank you for your kind remark. Your Chicken w/ Goat Cheese looks divine! 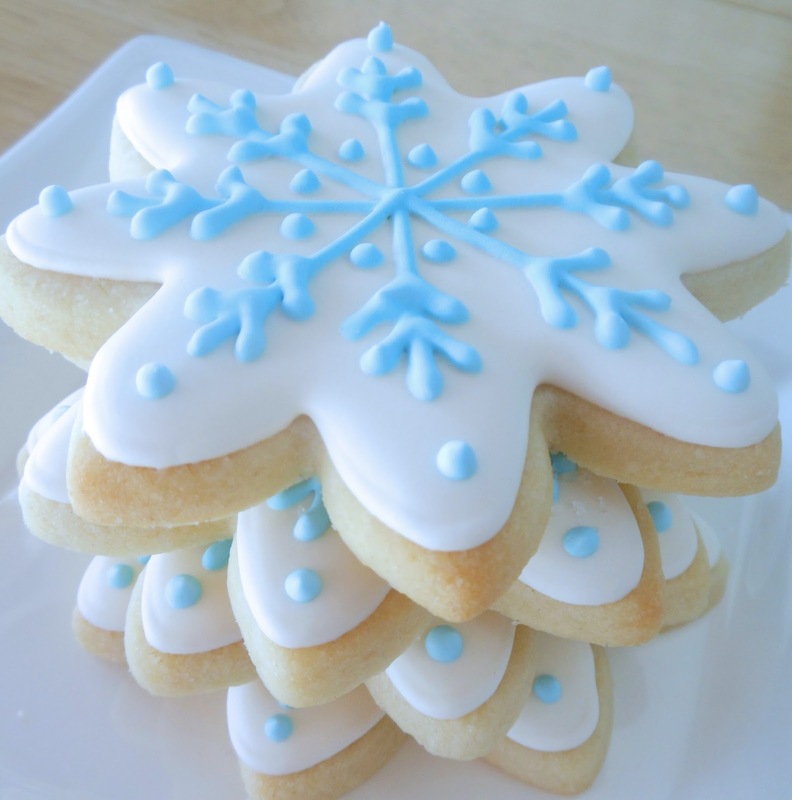 Your cookie is beautiful and your video was great, makes me want to try it now!!! Thank you! Thank you, I'm glad you enjoyed the video. I hope too that you find it helpful in your cookie decorating.